This game stretches from the fjords of Narvik to the sands of El Alamein, from the gates of Moscow to the beaches of Normandy, from the Spanish Civil War to the last days in Berlin and everything in between. 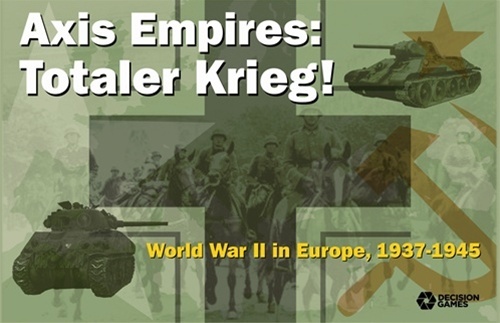 No game tells the story of World War II in Europe like Totaler Krieg! 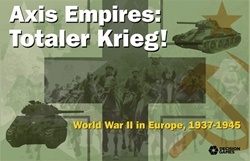 This new edition of our popular Krieg! game is still the playable, unpredictable and enjoyable experience it’s always been. 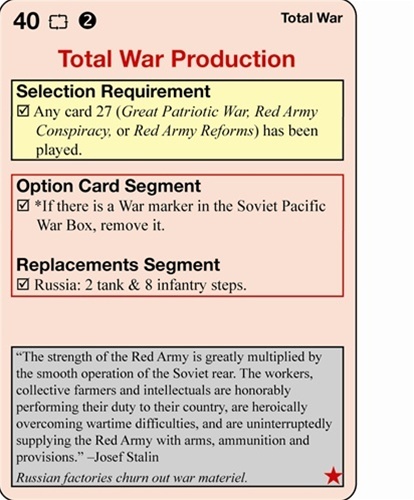 What’s new is a design and graphic update and expansion to give you more options – especially if you want to explore the critical pre-war period from 1937 to 1939. What if the Republicans had won the Spanish Civil War? What if Germany and Russia hadn’t signed their Non-Aggression Pact? What if France had modernized its army instead of building the Maginot Line? 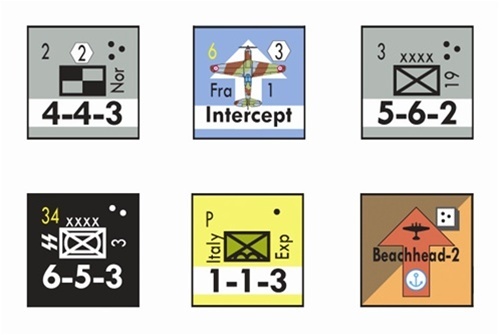 All of these options are literally in the cards that form the strategy for the major powers. Best of all, Totaler Krieg! can be linked with its new Pacific War companion game, Dai Senso!, to play the joint Axis Empires scenario, a global eye opening look at all of World War II. The fate of the world is in your hands! * Totaler Krieg! means Total War in German. Total War refers to the moment in the game when play moves from Limited War with its combination of mobilization, maneuver, and diplomacy to Total War with it’s all out warfare to achieve victory.